David Selden of the Cavanagh Law Firm and Tamar Jacoby of Immigration Works USA at the Dec. 14 immigration debate. Nationally known immigration experts and advocates came to Tempe, Ariz. over the weekend to participate in a formal debate. They also weighed in on the prospects of Congress passing immigration reform in 2014. Some House members are working on piecemeal bills, rather than a comprehensive one like the Senate passed earlier this year. Jacoby says House Republicans may be more willing to vote for immigration legislation after they find out if they are being challenged from the right in a primary. Filing deadlines in most states are by late spring. But she said there are also some reasons to be hopeful. Derrick Morgan of Heritage Foundation, a conservative think tank, said it was unrealistic to expect House Republicans to vote for any proposal that would legalize unauthorized immigrants in an election year. Morgan predicts House members may tackle less controversial pieces of immigration legislation this year, such as reforms to the high tech visa programs and a proposal to track the exits of temporary visa holders. Alex Nowrasteh of the libertarian Cato Institute said the argument that Congress can’t take on immigration in an election year ignores history. “The last three big immigration reforms that have happened have happened during election years, 1986, 1990 and 1996,” Nowrasteh said. But he warned that any unexpected crises in the new year could distract Congress from taking on immigration. "It is hard to read these political tea leaves and figure out what kind of new problems are going to emerge in the political process." Brent Wilkes of the League of United Latin American Citizens said there are recent signs that House Speaker John Boehner (R-Ohio) may be willing to work on immigration next year. Earlier this month, Boehner hired Sen. John McCain's (R-Ariz.) former staffer Rebecca Tallent as an immigration adviser. Still, a major point of contention continues to be whether the millions of immigrants in the country illegally should get a pathway to citizenship. The Senate bill includes such a path and it has been key to immigrant advocates' platform, but many House Republicans have said they won’t support it. Jacoby says there seems to be a growing number of House Republicans who favor giving these immigrants legal status that would allow them to work and travel, but no special path to citizenship. “In my view the $11 million question is do Democrats take that half a loaf for an answer, or do they say, no it has to be the whole thing,” Jacoby said. The debate was held at Rio Salado College. 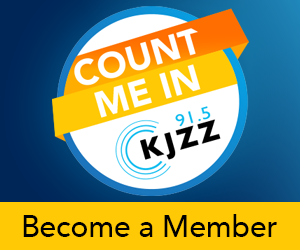 KJZZ Phoenix is licensed to Rio Salado College, part of the Maricopa County Community College District.